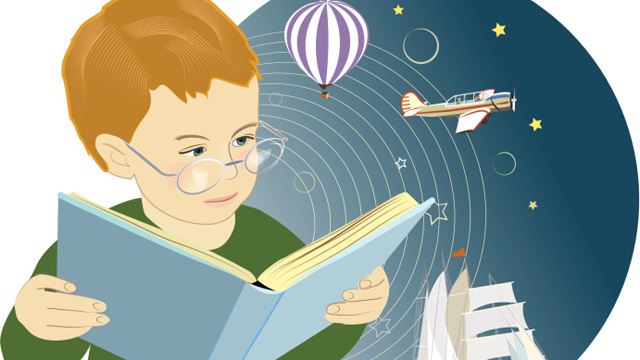 Have you ever noticed how much young kids love nonfiction? In the recent years, I have been more and more in tune with this fact! Over my years of teaching I have gone from reading about 80% fiction to 20% nonfiction to my students to now probably 40% fiction and 60% nonfiction. They love it! The more informational texts I read the more they ask for it. I am not kidding when I say I can read science readers to my kindergartners all day long and they just soak it up!! They are even checking nonfiction books out of the library all the time. It is amazing!! I love it!! The more you think about it, the more it makes sense!! Kids are curious, inquisitive, intuitive, and always exploring. They love to ask questions and discover the world around them. I think about how many times my own kids, from the moment they starting talking, asked a million questions a day! Since young children are curious about the world, nonfiction reading and writing should be woven throughout the curriculum from the minute they start school. By beginning early on, we are preparing young children for nonfiction material they will be presented with and be expected to generate as they progress through the grades into adulthood. By the time we are adults the majority of our reading and writing will be nonfiction we need to make sure that our students are prepared for the future. How did this revaluation start for me? Well I love science and the more science topics I integrated into reading instruction the more kids loved it. I loved teaching them the vocabulary words, I loved their excitement, and I loved how much schema they retained!! My kindergarten team and I began to build more and more nonfiction themes. We began to ingrate our science and social studies standards with our reading standards so we could dig deep on our non-fiction units. We were continually amazed on their excitement, their knowledge, and their connections they were making. They were starting to understand and use table of contents, their questions, knowledge, and vocabulary were getting deeper, their writings were becoming informational, and their world was becoming bigger!! I can’t believe I have been teaching for ten years. Time flies when you are having fun, growing, and learning. I am and always have been a life-long learner. This is part of the reason I went into teaching. I love learning and I love passing on my love of learning to others. I am a reflective teacher and I look back and think about how much I have grown and changed. Every year I become a better teacher in part through experience, but mostly through my learning, readings, collaboration, and professional development. It is so important to constantly be learning, pushing yourself to be better, and surrounding yourself with amazing educators. As a literacy leader, one of the important responsibilities is to make sure that all teachers have the opportunity to grow, learn, and become better. This is no small task and should take a lot of thought, planning, and communication among the staff to identify the their needs. Just like students, adults also need different levels of training and on different areas. In order to do this, it is important to keep in mind the 7 Characteristics of Adult Learners that Lyons & Pinnell (2001) have pointed out. Adult learners bring vast amounts of prior knowledge, experiences, and skills. Adult learners bring personal ideas, beliefs, values, and passions about learning. Adult learners have high expectations! Adult learners have time commitments and face many demands. Adult learners are motivated to learn new things that will help improve their teaching. These are great to keep in mind when planning for professional development. As I read through each one of these points, I found myself nodding my head in agreement. As adults our time is valuable and we do have very high expectations. We want to learn things that benefit us and our professional career. As educators ourselves, we are goal oriented and we love to share our experiences and knowledge, that is part of being a teacher!! As a teacher, I believe in the Constructivist Theory of Education is the best approach to learn. “Our past experiences and beliefs influence how we interact with others, learn new ideas, and discard or refine old ones. Our personal perspectives are shaped and changed as we engage in cooperative social activity, conversation, and debate with others around common purposes, concerns , and interests” (Lyons & Pinnell, 2001, p. 4). This means as teachers we need to be able to understand the complex process of reading and writing as well as how people learn, and how to effective create lessons. Lyons & Pinnell (2001), provide a list of principals to keep in mind as you are orginizing and planning a professional development course. Organize small group discussions around common concerns. Introduce new concepts in context. Develop teachers’ conceptual knowledge through conversations around shared experiences. Provide opportunities for teachers to use what they know to construct new knowledge. Look for shifts in teachers’ understanding over time. Provide additional experiences for teachers who have not yet developed needed conceptual understanding. Lastly, it is important to create a community of learners. As a literacy leader, you need to set the stage for the “we can attitude” and provide quality topics and trainings. Teachers need to know that their value, ideas, and interests matter in the planning of professional development. I have been thinking a lot about technology lately. When I gave my literacy needs assessment the majority of the teachers checked that they were interested in training sessions on technology to support literacy needs. More teachers checked being interested in technology than shared reading, interactive read-alouds, and diagnosing reading difficulties all together. This surprised me. Now maybe that’s because the teachers already feel extremely confident in the other areas and technology is an ever-changing beast of it’s own. It very well could be; the teachers I work with are extremely amazing, but none the less, analyzing the data really got me thinking about technology. I am all for technology. I love technology. I tend to be the technology guru in my family, however I question how much technology should be used and for what reasons. Many schools in my surrounding area have tried to pass expensive levy referendums to support, add, or build technology into the schools yet other resources are lacking or programs are being cut. I know of schools that their way of supporting struggling students are putting them onto a computer or an ipad for extra support or practice. I wonder, is this what is best for our students who are struggling? Where does technology fit? How can technology best be used to help students? There are benefits of specific apps to work on specific lacking skills, but if a child tests low on a standardized test, is our answer to plop them down with technology to practice their lacking skills/test taking ability? My principal showed us this image a couple years ago and it has stuck with me. This image sums up my thoughts on technology completely! I understand that our technology is constantly changing and our kids are growing up in this ever-changing world. Children respond to technology and need to be exposed to it, but we need to know when and where technology fits. It is so important that we don’t plan a lesson around a certain piece of technology, but think about the objective of the lesson first and then how technology can enhance the lesson. We need to know what skills our students are lacking and know how to use technology to build up that skill. Our content is the heart, the technology is just the tools to help teach it. With that being said, I am looking forward to creating and finding training sessions on technology that supports literacy needs and encourages teachers to utilize technology as a tool that enhances lessons or specific skills. I am starting to research the best practices of using technology with struggling students and I will be careful to not promote technology as a “band-aid” to place over struggling students with the hopes of an easy fix. I would love to hear your comments on technology. Are there any great programs that your school uses? How do you use technology in your schools/classrooms? I have sat down to write this blog at least a couple times this week. I could write for hours on this topic! This is the heart of our class and all of our learnings, where do I even begin?? I will begin with a quote from Irvin, Meltzer & Dukes (2017), “A school-wide literacy action plan is an essential blueprint for improving student achievement. An effective plan requires the skillful use of data about student performance, literacy needs and expectations in the school and community, school capacity to support literacy development, current teaching practices, and effectiveness of the literacy program.” This is a powerful quote that starts you in the right direction. The first thing a school needs to do is to create an action plan. This gives the literacy direction the school is heading and creates the goals in which a school aims to achieve. Irvin, Meltzer & Dukes (2017), continue to explain the vital pieces of creating an effective literacy action plan. Supporting Teachers to Improve Instruction. Once the action plan is in place, the school can look at their comprehensive literacy program. Literacy programs need to be sound in the best researched practices in order to create a strong foundation of reading and writing. The key components were addressed by Vogt & Shearer (2011) by giving an overview of what balanced literacy programs need to have to create successful readers. The next step would to be to create a district literacy plan that follows the Read Well By 3rd Grade guidelines. I reviewed two literacy plans, my school’s and St Michael-Albertville. The plans were similar. Both schools explained their mission, their parent connection, and uses DIBELS, MCA, and NWEA assessments for screening, diagnostic, and monitoring. St Michael-Albertville added a guided reading level expectation and a more in depth description of instructional support and interventions that will be provided in each tier, which I really liked. STMA also included the percentage of students that were proficient in each grade and stated that their plan will be updated each year. I was very impressed with their comprehensive plan. Vogt, M., & Shearer, B. A. (2011). Reading specialists and literacy coaches in the real world. Long Grove, Illinois: Waveland Press.